Welcome to the ISOWorx User Manual. 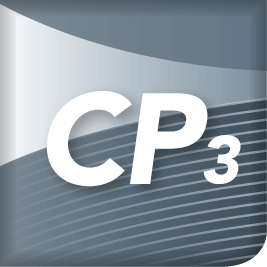 This Plug in integrates with CADWorx® PLANT and AutoCAD® PLANT 3D so users of either plant design platform can start taking advantage of all it offers. Basically, ISOWorx enables users to automate manual text entries, manage on/off sheet continuations, and establish a post processing workflow that has proven to be much more manageable and efficient. 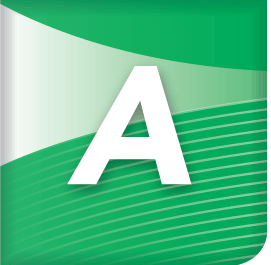 This Plugin loads into the AutoCAD® or BricsCAD®. It functions the same within both and all of its functions and controls are contained within a standalone ISOWorx palette. The palette tabs are typical and contain offer an inherent workflow staring with setup and ending with post processing drawings. Here is a brief overview of what exists under each ISOWorx palette tab. There are a few differences, so we have broken this manual into two distinct sections. 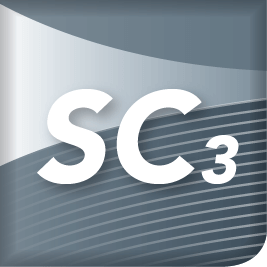 Section 2 is dedicated to CADWorx and Section 3 is dedicated to AutoCAD PLANT 3D. Please contact us for help by submitting a ticket to the ECE Help Desk. Please enjoy all ISOWorx offers! The CADWorx palette has three tabs which all work in concert to help with piping isometric drawing production. Here is an overview of each tab. ISOWorx Setup: The ISOWorx Setup tab allows the user to set up and manage the desired Isometric Style Sheet and Post Processing Configuration. The palette will list all of the currently available Isometric Styles as well as the Current Isometric Configuration. If any changes are made outside of the CADWorx® environment, whether a new isometric style has been created or the current isometric configuration has been edited, the user can quickly update the palette to display these changes. The user can also open the folders where many of these files are located with a simple click of a button. It is on this tab where users start the isometric drawing creation process. There are 3 list boxes that all contain a list of drawings. First is a list of 3D Models, next is a list of isometric drawing generated from the 3D models, and finally is a list of isometric drawings the where created successfully. Any drawing file visible in the list boxes can be opened and otherwise processed by using the controls provided underneath them. The typical workflow is to simply select a 3D model then click the ‘ISO Batch’ button. At this point CADWorx takes over an does it’s thing. Once CADWorx has completed its process the newly created isometrics will be displayed. ISOWorx gives the user complete visibility of which lines ran successfully and which ones failed. Then, users can automatically moved isometrics from the I-Configure directory to a designated Work In Progress (WIP) folder where there is no character count restrictions. Isometric Post Processing: The Isometric Post Processing tab displays the current WIP and Completed Isometrics folders and what is currently stored in each. From the WIP folder, the user has the ability to post process the isometrics in a numerous ways without having to open up each isometric and manually editing. There are multiple options for post processing as well. Just as it is available in the Isometric Batching tab, the user can open CADWorx® model(s) and piping isometric(s) as well as creating an Excel List of both the WIP folder and Completed Isometrics folder. Special functions exist to generate separate material take off and weld take off reports that are identical each isometric’s content which can be used to service many other fabrication and material management needs. The ISOWorx Setup Palette has two main functions. Isometric Style Sheet Selection – Allows the user to choose Isometric Styles directly from the palette. Current Isometric Configuration – Displays the current Isometric Style Configuration and allows the user to open the specific directory folders. Post Processing Configuration – The user will set the post processing folders here as well as the line list that will be used to populate the isometric attributes. Select the “ISOWorx Setup” Tab. Use the “Directory” drop-down to select the Isometric Directory. Use the “Project” drop-down to select the Project Directory. Use the “Style” drop-down to select the Style within the previously selected Project. Once applied (using the “Apply” Button) the current Isometric Configuration is updated automatically and CADWorx® is ready to IsoOut or IsoBatch the desired drawings with the chosen Isometric Style. Note: If the Directory, Project or Style was added to the system while ISOWorx was open, press the refresh button (to the right of the Directory drop-down) to re-populate and update the drop-down lists. As shown below, the Current Isometric Configuration displays the currently selected CADWorx® Isometric Style. 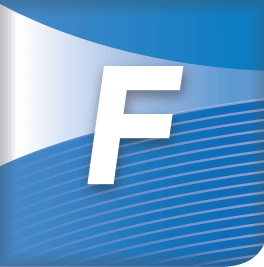 Since CADWorx® 2016 , the I-Configure Style is read directly in lieu of the FLS File. ISOWorx detects whether an FLS File is directly selected by the user and displays the correct information. Using the refresh button above will update this dialog if any changes were made outside of ISOWorx and directly in one of the CADWorx® dialogs. Note: Click the Orange Folder Icon to open the desired Folder Location in Windows Explorer. ISOWorx is configured to work on a per project basis. If you are using CADWorx Plant Professional® with a live database, you would use the “Project.cfg” created when you setup your database. If not using a database, you can select the appropriate configuration file you are using for your models. The Post Processing Configuration is dependent on the current Project Configuration File being used by CADWorx®. ISOWorx automatically detects the current Project Configuration file and displays it in the dialog below. In addition, it displays the Inch or Metric icon next to the file list reflecting the configuration type. The refresh button can be used to manually re-read the current Project Configuration File. Models: This is the Windows folder that ISOWorx will look in to find the current project drawing models. WIP: This is the Windows folder that ISOWorx will use as a “Work-In-Progress” folder. Once the Isometrics are batched out, you are able to move the isometrics of the Completed Lines to this Windows Folder with the click of a button. Once the Isometrics are in the WIP folder, they can be batch post-processed to the “Completed” folder. Completed: This is the Windows folder that ISOWorx will use to place all of the post-processed Isometrics. Line List: Choose the Excel Line List that will be used to post process the Isometrics. Click the Orange Folder with arrow icon to open the desired folder location in Windows Explorer. Click the Excel Icon to open the Line List in Excel. The ISOWorx Post Processing Spreadsheet can be a Line List of the project combined with Attributes of the Isometric Drawing Border. It can also be a list of the drawings that were generated from Isogen Batch combined with Attributes of the Isometric Drawing Border. The “TAG_” column must be the list of line numbers, or generated drawing names. The “ISO_DWG_NAME_” column is for the desired file name of the completed isometric. Note: Do Not Add the “.DWG” file extension in either “TAG_” or “ISO_DWG_NAME_” columns. This will cause the post processing to fail. Subsequent columns contain the various Attribute fields of the Isometric Drawing Border that will be replaced automatically. A sample worksheet is provided in the Installation Support Folder. Replace the default values (i.e. ATTRIBUTE_1, ATTRIBUTE_2, etc.) with the attribute tag name from your boarder (e.g. Proj_Name, Chk_By, etc.). When including multiple worksheets in the Line List ensure to place the ISOWorx sheet as the first tab. (see examples below) For post processing to work it will always look into the first sheet in any list to get data. Having the ISOWorx tab placed in the incorrect order will result in a failure to post process. Note: Do Not Place the ISOWorx sheet into a hidden tab. Ensure the ISOWorx sheet is visible by selecting Unhide. When you need to control the text displayed in the body of the isometric to show a specific drawing, i.e. the value in ISO_DWG_NAME_, rather than the default value that Isogen generates for continuations you will need to use the Multisheet Attribute Control and Update Continuations options. To use the Update Continuations with Multisheet Attribute control you will need to use 2 additional columns in your spreadsheet. The first is the ISO_MS_LINE_NUM_: This field should contain the line number, not the actual TAG_ value. The second is the ISO_MS_SHEET_NUM_: This field should contain the sheet number that correlates to the TAG_ value, replacing the alpha suffix with the appropriate sequence number. Continuations will not be updated for branches off the header, as the information is not provided by Isogen. Only the Line Number will be available when using Isogen Batch. Only line numbers found on the ISO-TEXT layer will be replaced. Isogen places all isometric text on the ISO-TEXT layer by default. 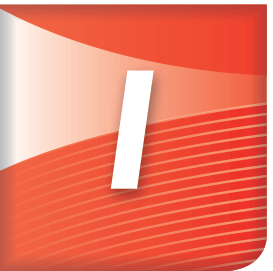 ISOWorx will only find and update line continuations if they are on the ISO-TEXT layer. To check this in your isometric style go to Drawing Area>Graphics and expand the Definitions. This will define the ISO-TEXT in the style and set the layer. To ensure that the layer number corresponds to the ISO-TEXT layer, go to Drawing Area>Graphics and expand the Layers. Alternative Text value for the Drawing Label should be set to DRG, the default value. You can check this in the Alternative Texts section under Drawing Area>Text. The Isometric Specials allow you to control the BOM and Weld list per Isometric. It creates an external CSV/XLSX file that will update the BOM and Weld list in the Isometric dwg. Reads the MTC file generated by ISOGEN and creates an external CSV/XLSX file that can be synced to the BOM in the isometric drawing. Reads the WSO file generated by ISOGEN and creates an external CSV/XLSX file that can be synced to the Weld List in the isometric drawing. When this setting is checked it creates an Attribute file for each Iso line number that was post processed and places it in your Complete folder. Create a bill of a material for every isometric spool in either a comma delimited (.csv) or Excel (.xlsx) file format. This CSV/XLSX file can be modified before it replaces the BOM inside of your ISOGEN isometric. In the settings dialog for ISOWorx you need to turn on the BOM Control settings and determine your export type. When checked, this setting will update the BOM in your isometric from the BOM CSV/XLSX file for each isometric ran through ISOWorx. This happens when you use the Move to WIP button. When checked, this setting will update the BOM in your isometric from the BOM CSV/XLSX file for each isometric ran through ISOWorx. This happens when you use the post processing buttons. The second row cell style is header and contains BOM column header text. In the Materials section under Reports you have the options available to create and generate a Material Control File (MTC), as well as setup the columns and values. These values can include those used in the BOM on the isometrics, but can also include additional values (e.g. Pipeline Reference). Be sure to set the name of the report to ISOWORX.MTC and the location to the Drawings folder. The default location for reports is Reports folder so you will have to use the “…” button at the right of the field to navigate to the Drawings folder under the style. The Column Headers assist ISOworx in determining the CSV/XLSX filenames and what columns of data to populate. Important: The DRG attribute must be first and the PIPELINE REFERENCE must be second. These two attributes are used to create the CSV/XLSX files only and therefore will not be added to the files. The third attribute will be the first value, unless a subset is inserted. Each attribute added consists of a Column Name, Column Start Position, & Column End Position. These column names and positions are wrapped in vertical bars. Important: Your last section will have a Column End Position value of 999. This lets ISOWorx know it is the last column of attribute data matching the Report Layout section. Any columns after that will use -1 for a Column Start & End Position. These columns will not come from ISOGEN, but can be filled out in the resulting CSV/XLSX files and pushed into the Table in your Backing Sheet. These Column Names must match those in the table that is part of your template file as outlined in the ISOGEN DRAWING TEMPLATE SETUP section. You can have sub sections of other full sections. For example SP will yield the first 6 characters of the | LINENUMBER |, or PIPELINE REFERENCE. You can use/add any of the attributes in the various sections (Pipeline, Component, Material, Spool & Miscellaneous) in the MTC file, but these values must align with the Column Headers in the above Include Column Headers section. Isogen created .dwg files found in the designated Drawings folder are moved to the WIP folder. This operation updates the Isometric drawing BOM with the ISOWorx created .csv/xlsx file. Isogen created .dwg files found in the WIP folder are moved to the COMPLETED folder. This operation updates the Isometric drawing BOM with the ISOWorx created .csv/xlsx file. This operation also updates the user defined Isometric attributes based on the user created .xlsx attribute worksheet and could rename the output isometric depending on the button selected to post process. Create a weld list for every isometric spool in either a comma delimited (.csv) or Excel (.xlsx) file format. This CSV/XLSX file can be modified before it replaces the weld list inside of your ISOGEN isometric. In the settings dialog for ISOWorx you need to turn on the Weld Control settings and determine your export type. When checked, this setting will update the weld list in your isometric from the Weld CSV/XLSX file for each isometric ran through ISOWorx. This happens when you use the Move to WIP button. When checked, this setting will update the weld list in your isometric from the Weld CSV/XLSX file for each isometric ran through ISOWorx. This happens when you use the post processing buttons. The second row cell style is header and contains weld list column header text. 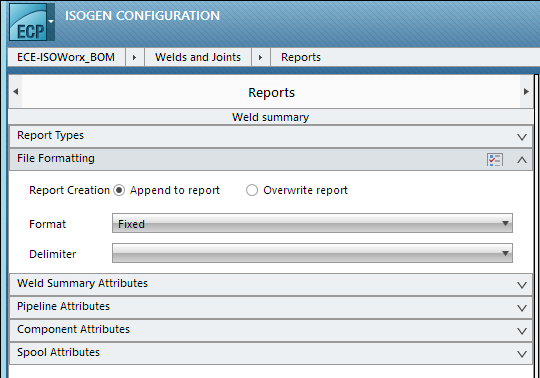 In the Welds and Joints section under Reports you have the options available to create and generate a Weld Summary File (WSO), as well as setup the columns and values. These values can include those used in the Weld List on the isometrics, but can also include additional values (e.g. Pipeline Reference). Be sure to set the name of the report to ISOWORX.WSO and the location to the Drawings folder. The default location for reports is Reports folder so you will have to use the “…” button at the right of the field to navigate to the Drawings folder under the style. The Column Headers assist ISOworx in determining What and Where the columns should be found. Each column section consists of a Column Name, Column Start Position, & Column End Position. These column names and positions are wrapped in vertical bars. Your last section will have a Column End Position value of 999. This lets us know your last column that has a matching Report Layout block. Any columns after that will use -1 for a Column Start & End Position. These columns will not come from ISOGEN, but can be filled out in the resulting CSV/XLSX files and pushed into the Table in your Backing Sheet. If you are using a table in your backing sheet, these Column Names must match those in the table that is part of your template file as outlined in the ISOGEN DRAWING TEMPLATE SETUP section. There are a few required column headers. You must have a LINENUMBER column header and either a SPOOLID or DRG column header. In the example below we are using the minimum two of three. For the WSO you must also have an ENTER in your Column Headers so your column headers are spread over two lines. The example below shows WELD CODE and following headers have been placed on a second line. You can have sub sections of other full sections as in the case of SP | LINENUMBER | LN. You can use/add any of the attributes in the various sections (Pipeline, Component, Material, & Spool) in the WSO file, but these values must align with the Column Headers in the above Include Column Headers section. Isogen created .dwg files found in the designated Drawings folder are moved to the WIP folder. This operation updates the Isometric drawing weld list with the ISOWorx created .csv/xlsx file. Isogen created .dwg files found in the WIP folder are moved to the COMPLETED folder. 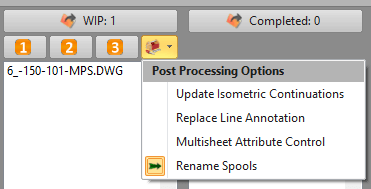 This operation updates the Isometric drawing weld list with the ISOWorx created .csv/xlsx file. This operation also updates the user defined Isometric attributes based on the user created .xlsx attribute worksheet and could rename the output isometric depending on the button selected to post process. This setting is located in the Worx settings , under ISOWorx Gerneral Settings. In the Spools-Settings section, under Spool Identifiers that the Type is set to Numeric, the Sequence value is True & the Prefix value is WWWWW. The last thing you need to address is your spreadsheet (isometric line list). After the required values of “TAG_” & “ISO_DWG_NAME_” you will need to add a “SPOOL_AREA” column as well. The value entered in the SPOOL_AREA field will populate/replace the Prefix value (-WWWWW). You will now be able to select and use the Rename Spools option on the Post Processing tab of the ISOWorx palette. This is were ISOWorx shines by cutting down the time to post process and publish your ISO drawings by completing many of the tasks users do manually. Once your ISOWorx Setup is properly filled in, you can move on to the next step to Post Process your drawings. Isometric Batching is the second tab on the right side of the ISOWORX palette. Once set up properly, your models will be loaded in the first box called Models, select the model from the model list that has the lines you would like to Post Process. You will see this model highlight, showing its been selected and then you may proceed to ISO Batch. After running the ISO Batch, the selected model will then open and a list will appear with all your lines numbers included in the model. Choose the lines your interested in running and hit the OK tab to start the process. This may take a minute depending on the size or amount of lines you are running. An AutoCAD Text Window will appear to indicate if lines ran were successful or had errors. 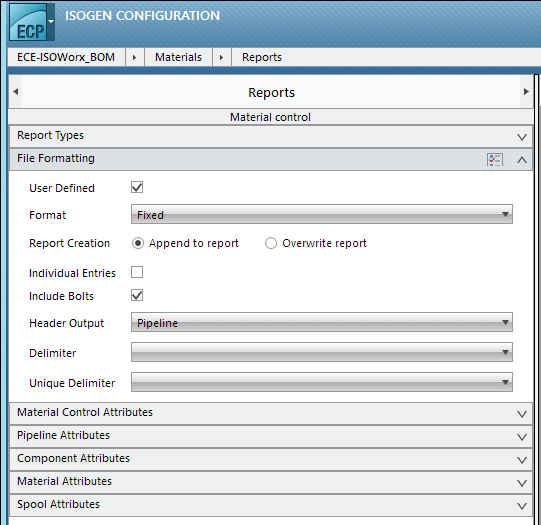 If your ISOs successfully ran then, then they will appear in the Isogen Batch Isometrics tab (Drawings folder). You may select the DWG icon to open and view you ISOs, you will notice that they are nearly complete except the title block information. You can directly send the ISOs to the WIP folder from here or you can use the option below. Sending them from here will push all the ISO drawings to the WIP, including failed lines. Lines that failed to run for any reason such as pipe disconnects or improper settings, etc… will appear in the Failed Lines tab underneath the Isogen Batch Isometrics tab and can be run again once fixed. A status will indicate failed lines with a red ISOBATCH FAILED message. A status will indicate both failed lines and completed lines with a yellow flashing ISOBATCH WARNING message. All of your successfully ran lines will be in the Completed Lines tab and must be sent to the WIP folder to proceed. Sending to WIP from here will only send your Completed lines not your failed lines. Lines that all successfully run will indicate so with a ISOBATCH COMPLETE message. 1.) Change Filename To: “Drawing No. – Line No.” and Replace Attributes – This option will create a copy of a drawing in the WIP Isometric Folder and save it on the Completed Isometric Folder. At the same time, it will change the actual filename of the drawing to “Drawing No. – Line No.” The drawing number will be retrieved from the Excel Post Processing worksheet under the ISO_DWG_NAME_ column. 2.) Change Filename To: “Drawing No.” and Replace Attributes. – This option will create a copy of the drawing in the WIP Isometric Folder and save it in the Completed Isometric Folder. At the same time, it will change the actual filename of the drawing to “Drawing No.”. The drawing number will be retrieved from the Excel Post Processing worksheet under the “ISO_DWG_NAME_” column. The line Number will be removed from the file name. 3.) Replace Attributes – This option will only replace attributes on the Isometric leaving the file name alone. All drawings that match the line list will be moved to the Completed Folder. Any drawing that does not transfer to the Complete Folder indicates that there is an issue with your Line List and the information in the columns should be reviewed to ensure their accuracy (TAG_, ISODWG_NAME_, and ISO_MS_SHEET_NUM). You may then select one of the Replace Attribute icons again and ISOWorx will then run the the ISOs that were missed without affecting the ones you were satisfied with. This toolbox offers you a few other options when post processing your ISOs that you may toggle on and off to accomplish various results. Update Isometric Continuations – This option is used when renaming the drawings during post processing. ISOWorx will update any line numbers found on the Isometric and append on the line below with the “ISO_DWG_NAME_” column. When this option is selected you will see additional text under the Update Isometrics Continuation Status. Replace Line Annotation – This option is used to rename that drawings during post processing and ONLY works in conjunction with the Update Isometrics Continuation. 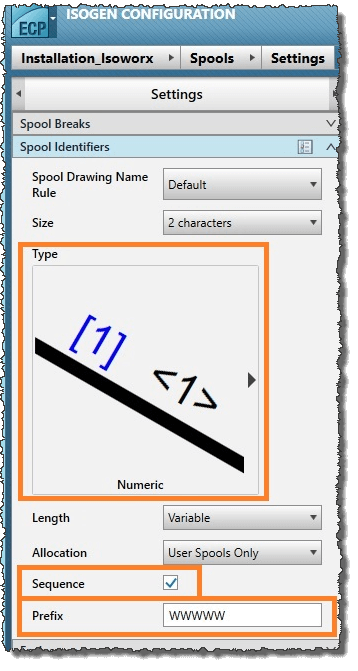 In certain situations, it may be acceptable to REPLACE the line number annotation with the new drawing number instead of APPENDING to the line. Often times its acceptable when Sheet Numbers are not used. Mulisheet Attribute Control – This option is a switch that allows the user to maintain a line list for individual Isometric Sheets. Rename Spools – This feature allows the renaming of Spools in the Isometrics based on a key word. The options to export your ran lines to an Excel spreadsheet is available under all Folder sections with the Excel icon. This option will let you open each Iso drawing to review the title block before publishing to a PDF. You can look through to ensure they all include the information needed in the title block. To PDF your finished ISOs quickly, select the drop down list on the red PDF batch icon and pick one of the following options. 1. Create PDF of all drawings above. 2. Create PDF of all selected drawings above. After choosing what ISOs you want to publish, they will run and the PDF’s will be placed in the Complete Folder along with your finished ISOs. This section of the manual is dedicated to AutoCAD PLANT 3D users. It shares many of the same features as the CADWorx version but with some slight differences.